I have found this somewhere on Facebook. 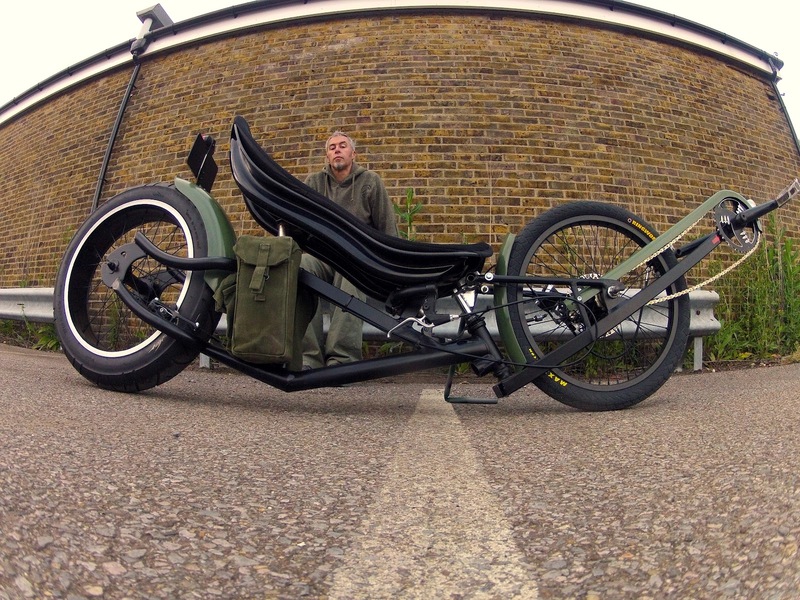 A homebuild recumbent with python-style steering with military look. An amazing work with great details and also nice looking military-style web page and last but not least tough name – Kurb Krawla. 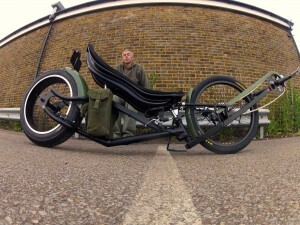 More information can be found directly on the web and Neil made also a nice video riding on it. He has even more very nice projects on his web.